Xiaomi has been rather secretive with its sales and profit figures in the past, but while attempting to secure $1 billion in loans for overseas expansion or acquisition, the Chinese company has had to reveal the state of its finances. Documents presented to the bank and consulted by the WSJ reveal that Xiaomi’s revenues have more than doubled from 2012 to 2013, reaching 27 billion yuan ($4.42 billion). Net profit saw a similar boost, increasing 84 percent from 1.88 billion yuan ($310 million) in 2012 to 3.46 billion yuan ($566 million) last year. We don’t have Xiaomi’s profit figures for this year so far, but given that handset shipments are at an all-time high it is likely that profit will have continued to grow. The document forecasts an increase in net profit of 75 percent from 2013 to 2014, suggesting that the company could soon cross the $1 billion profit mark. For comparison, HTC accumulated revenues of $6.64 billion in 2013 resulting in a loss of $43 million, whilst Samsung saw sales worth £209.4 billion and a net profit of $27.9 billion last year. Xiaomi is obviously still a small company compared to Samsung, but has already managed to generate as much income and more profit than some industry veterans. The fact that it is profiting and managing to expand and grow so quickly is quite astonishing. What makes Xiaomi’s situation even more unique is its business model. Xiaomi sells its high-end smartphones at considerably lower prices than the competition and also offers a range extra services and software to consumers. Interestingly, 94 percent of the company’s entire revenue came from handset sales last year, whilst mobile services accounted for just 1 percent. 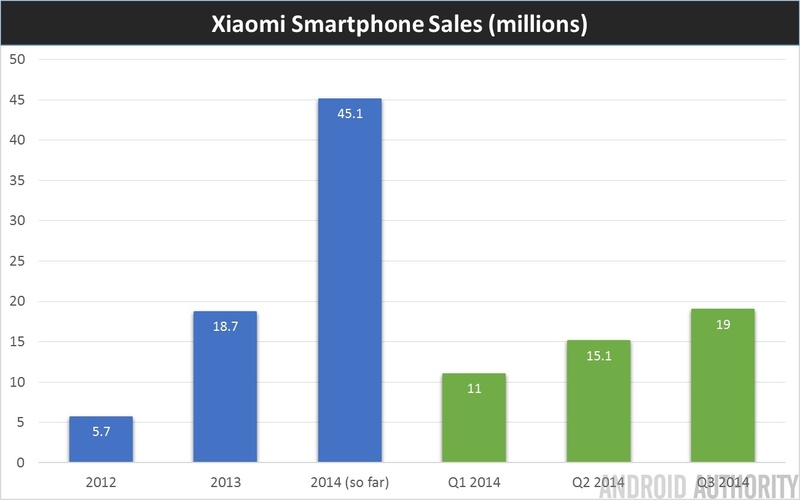 Handset margins are vastly more important to Xiaomi’s profitability than many had previously estimated. So what’s the company’s secret? There’s no single answer, but one noticeable difference to its competitors is that Xiaomi has a very small advertising budget. Xiaomi spent just 3.2 percent of its revenue on sales and marketing expenses last year. Instead of expensive TV or billboard advertisement, Xiaomi relies heavily on social media. Xiaomi has shot into direct competition with other major brands over the past year. Speaking in a recent interview Xiaomi’s Hugo Barra talked a little about the company’s hardware business model. Xiaomi sells only a small range of handsets and aims to maintain a product life cycle of 24 months for each. This has two major benefits for Xiaomi’s expenses. Firstly, research and development costs are lower than rivals which have more extensive product lineups. Secondly, it is able to purchase and sell shipments in bulk and batches, giving the company control over supply and preventing an excess of stock that it can’t shift. Batches are then sold almost exclusively through ecommerce, which offers improved margins compared with high-street retailing. The company has been able to steadily increase production along with consumer demand. Essentially, Xiaomi manages to keep costs extremely low while also cultivating a strong brand presence in its retail markets through social media. The company is planning excursions into, Brazil and Mexico over the coming year, which is likely the intended use for the business loan. Expansion may leave a dent in short term profits but should see the company gain an even larger global presence in the future. Xiaomi has managed to rise sharply at a time when other smartphone manufacturers appear to be struggling. Proof that the company’s business model is already proving profitable should quash any suggestions that Xiaomi isn’t a competitive force in the smartphone market.